All high school students are invited to join us for ABIDE this Easter season. ABIDE is a one day commitment to make a lasting impact. It’s an invitation for Catholic teens to not only acknowledge, but respond to, Christ’s Good Friday sacrifice. It’s about LIVING the Catholic faith. Abide Boston takes place Good Friday into Holy Saturday, April 19 & 20, 2019. It is an incredibly moving, inspiring, and exciting event for those who participate and for those we serve. 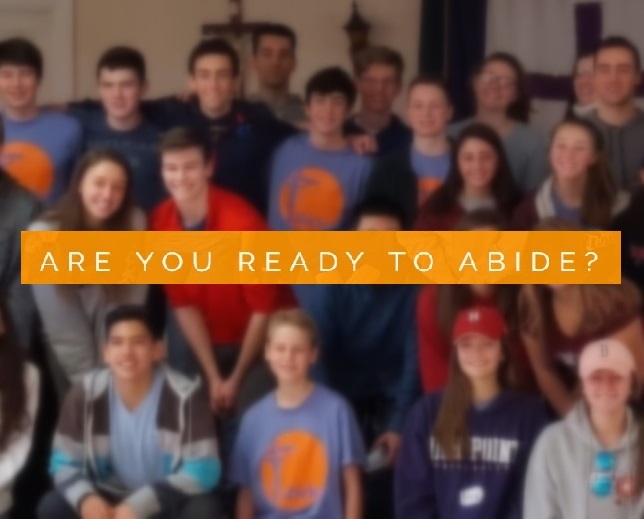 For more information on ABIDE, please visit www.abideboston.com. Any questions? Contact Luke Delvecchio or email youthministry@sjspwellesley.org.